Asset Tracking in Healthcare, also known as Real Time Locating Systems ( RTLS ), has been around for a while and are a critical part of managing the significant number of mobile devices, surgical packs, supplies and people in large complex facilities. 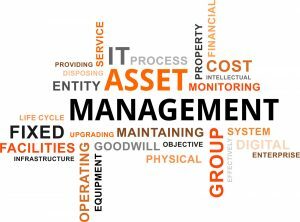 Hospitals spend billions of dollars on excess equipment and FTE’s to “hunt and fetch” equipment resulting in asset under utilization. Effective asset tracking systems need to be able to communicate with a large number of different existing technologies such as wearables, low energy Blue Tooth, cellular technology, Blue Tooth 5, RFID, barcodes, infrared and in some cases satellite based locating add-ons, etc. Effective asset tracking systems also need to be scalable and provide appropriate analytics so that the collected data can be used effectively and real time. But, just like any other technology, if its implementation isn’t part of a broader vision to improve the way work is done, lower working capital, reduce cost, while improving patient outcomes at the same time, then the implementation will not realize its stated potential. At Group50 Healthcare, we have developed a methodology that incorporates all of these requirements and delivers to our clients workflows that are built around best clinical, operating and technology practices. We first start out with an assessment that documents the current state. Utilizing our IOE library and our best practices workflows for each of the 12 critical workflows in a hospital, we identify the strategic and operating gaps between current state and a recommended future state. The recommendations are used as the basis for a workshop that includes subject matter experts and operations leaders from the client and Group50 Healthcare as well as our strategic partner THINaër. The workshop is lead by a Group50 consultant with the expected output to be an implementation roadmap for process redesign and the implementation of new technology. Group50 Healthcare works with our clients through the implementation where we work hand in hand with client resources and our technology partner to successfully implement the roadmap to the future state. Group50 healthcare consultants have over ten years of Lean in Healthcare experience and know how. They have completed over 100 projects with a diverse group of clients in every function, service line and department. They have provided Lean management advice and coaching to the highest level of leadership and have taught Lean basics to front line staff and have the resources to implement technology as well.